Metwest Engineering is an engineering business that predominately works in the infrastructure industry. The company has been producing thousands of products for use in rail systems and other infrastructure projects for almost 30 years. If a railway needs anything made out of any type of steel, Metwest Engineering can design, fabricate, galvanize, and install it. 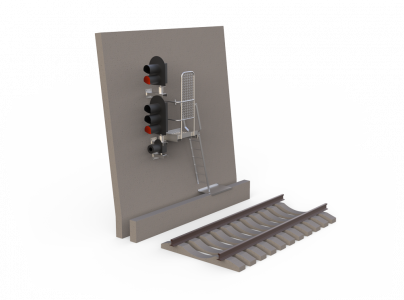 The rail industry requires quick turnaround times and product development is a constant and collaborative process. By switching to IronCAD as their CAD solution, Metwest has dramatically sped up its design times to deliver to the ever-shortening design and manufacturing timeframes required by its customers. 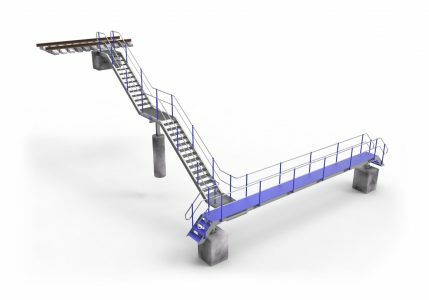 Metwest was using a range of systems, including SolidWorks, Inventor, and AutoCAD to design their diverse array of products. They began looking for an alternative CAD solution because of the various limitations they encountered with those systems. Issues of battling with assembly management and the inherent problems in pure feature and constraint-based CAD systems was slowing down productivity. They began researching other CAD solutions and found IronCAD. What they discovered was that IronCAD was a good alternative from the very beginning. To start, Metwest engineers used the 30-day trial of IronCAD available via the IronCAD website to test the software. Their initial reaction was that IronCAD was “a little different” at first when compared to traditional 3D CAD platforms. But once they got used to the TriBall and the true sense of modelling, they found that IronCAD delivered ease of use and time savings. These became major factors in Metwest’s decision to purchase the IronCAD design software to replace their legacy systems. “There are many features of IronCAD that have made our company much more productive in the design/drawing/production processes,” says Sean Brunt of Metwest. These features include, but are not limited to, the TriBall tool for manipulating models, modelling with pre-set shapes and configurations, virtually no sketching required, ease of producing 3D workshop drawings from the scene, and exporting faces to DXF. Using IronCAD’s flexible design approach opens up possibilities for collaboration that immediately impacted overall productivity at Metwest. Many of the hindrances imposed by the traditional CAD workflows of legacy CAD systems simply disappeared with the IronCAD CAD solution in place. Producing files in various formats — e.g., for either fabrication, material profiling, or manufacturing — for client approval.